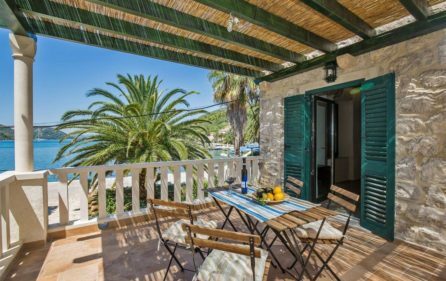 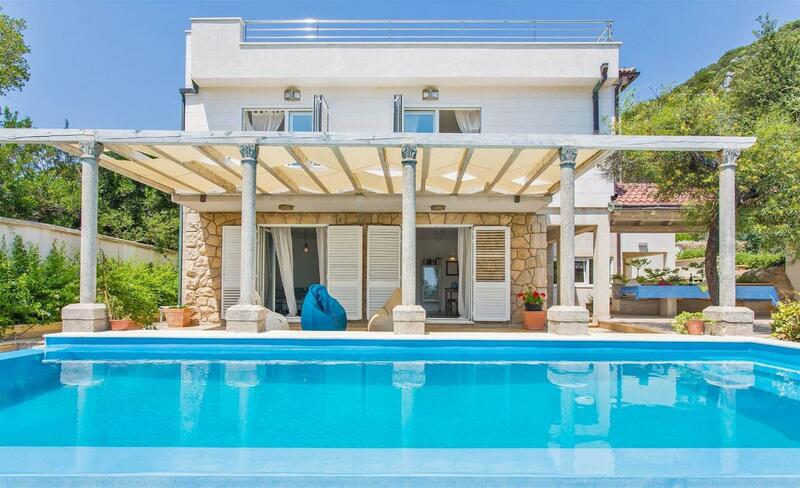 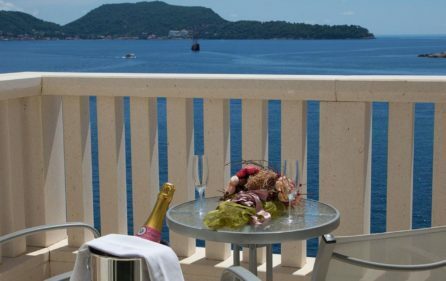 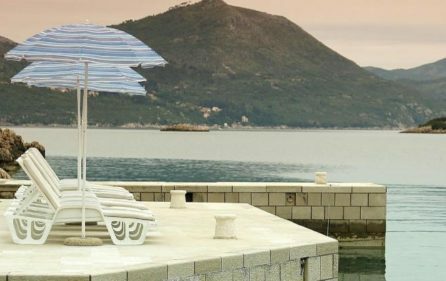 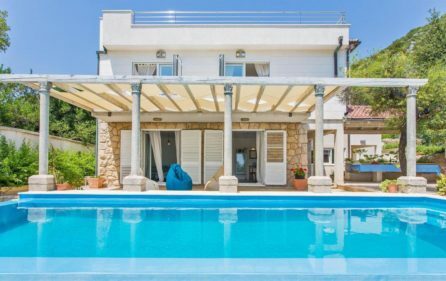 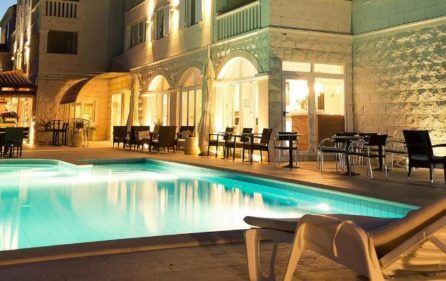 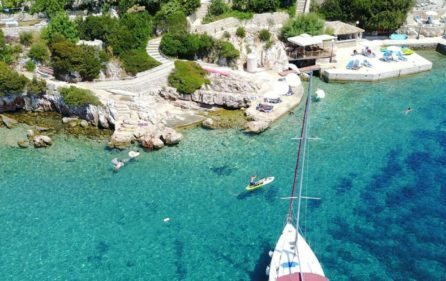 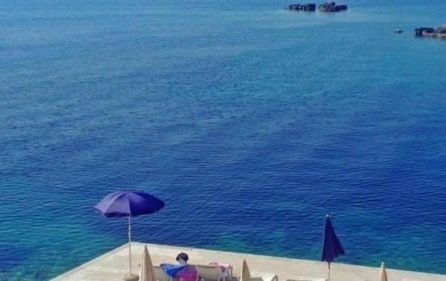 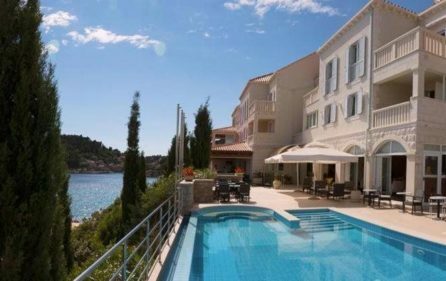 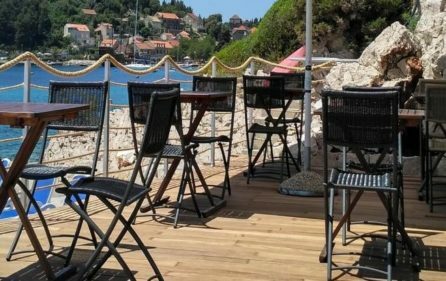 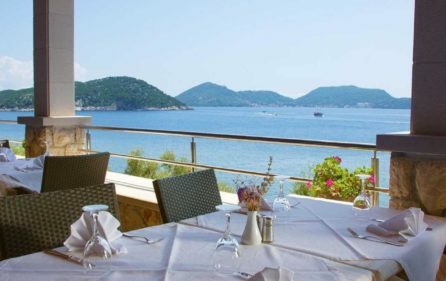 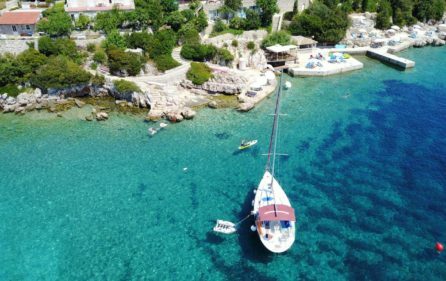 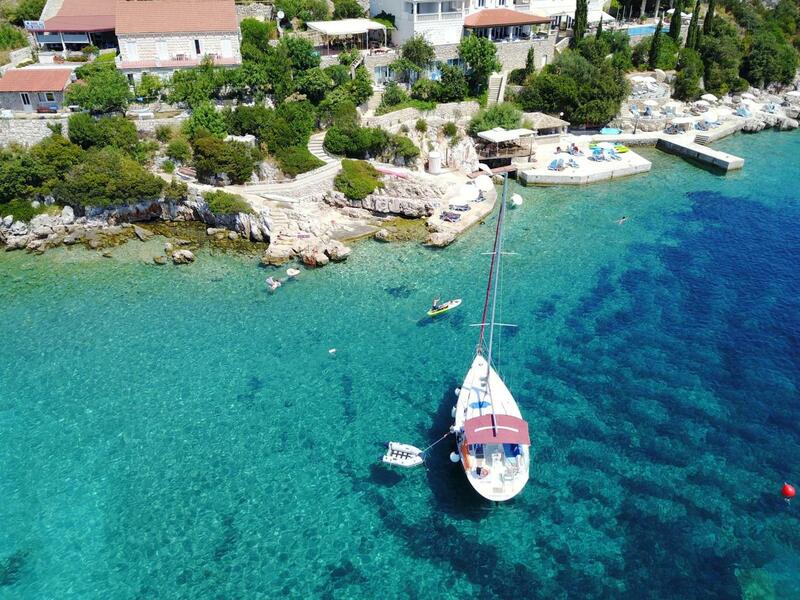 SEAFRONT BOUTIQUE HOTEL FOR RENT SIPAN DUBROVNIK is situated on the island of Sipan 17 kilometers north-west from Dubrovnik. 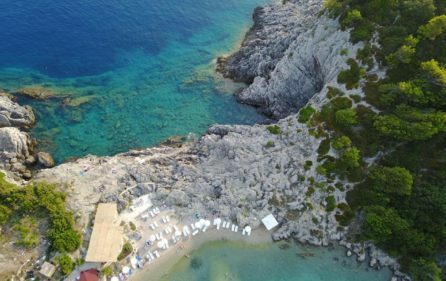 The Sipan Island is the largest of the Elaphiti Islands and most inhabited one covered with lush Mediterranean vegetation, olive trees, grapes, oranges, tangerines, figs, pomegranates, carob, and laid-back atmosphere. 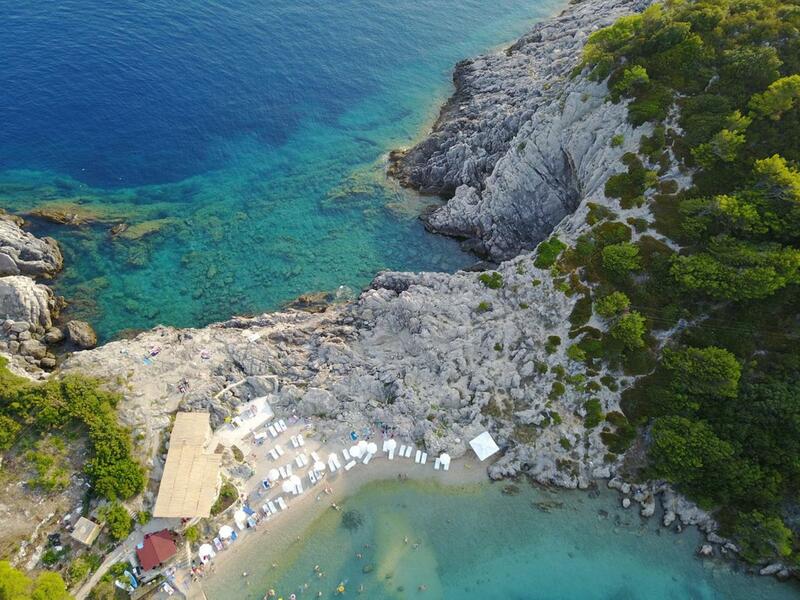 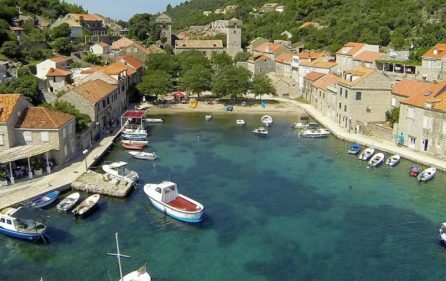 There are two main villages on the Island of Sipan: Sipanska Luka and Sudurad. 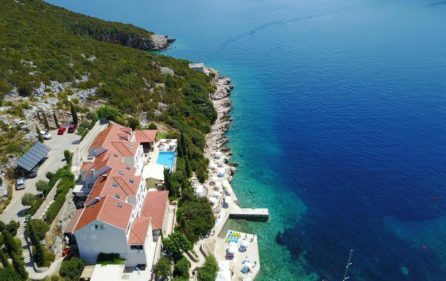 This seafront hotel has found its place under the sun in the sleepy village of Sudurad stretched along the little harbor. 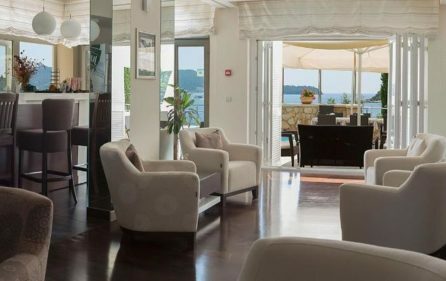 The interiors of the Hotel offer all the necessary comfort for a relaxed and carefree holiday. 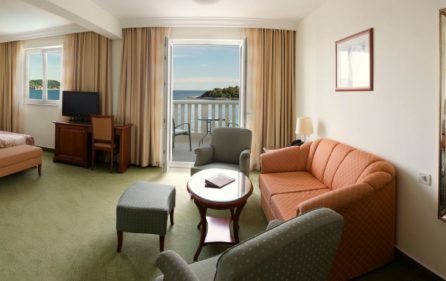 Spacious rooms and suites, free wi-fi access, satellite TV, minibar, air-conditioning… and … Most rooms have a wonderful sea view! 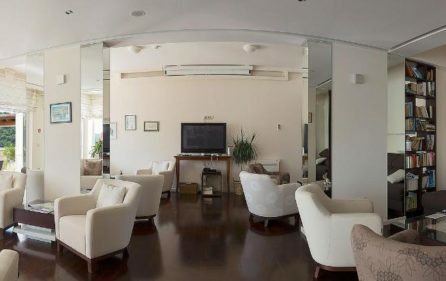 There is also a newly opened indoor bar where guests can enjoy a drink or coffee or watch TV in the lounge area. 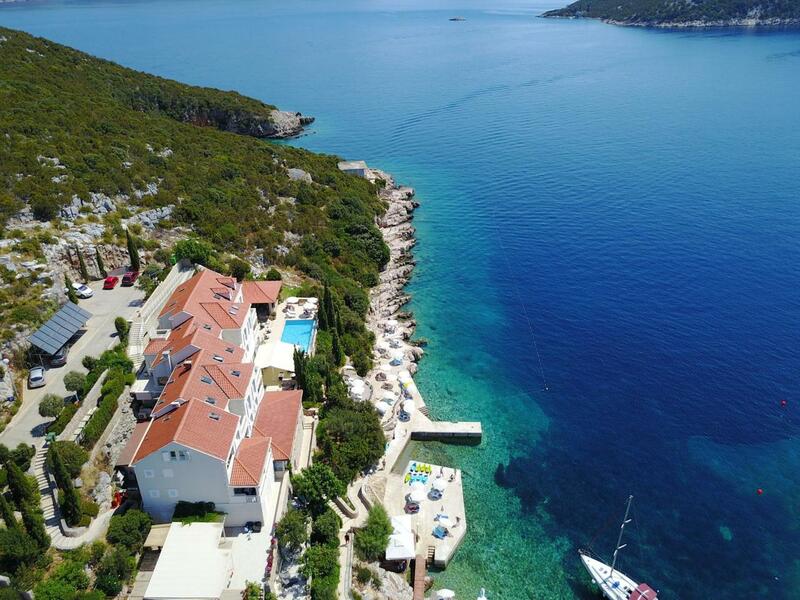 For additional pleasure, guests can also sit by the pool or at the beach with the most beautiful views of the sea and neighboring islands! 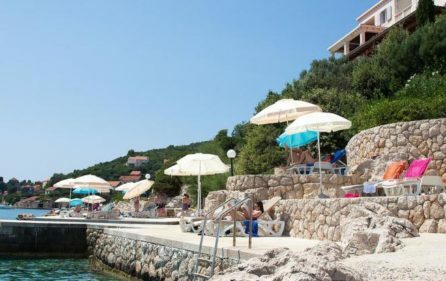 The hotel has its own beach fully equipped with sunbeds, umbrellas and beach towels. 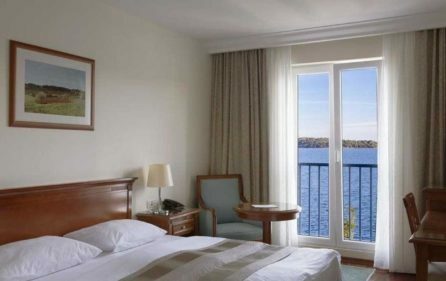 Spacious room overlooking the bay and the open sea. 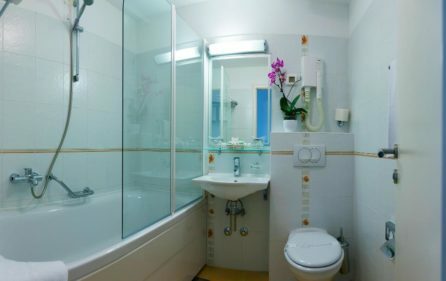 They are on the 1st and 2nd floor. 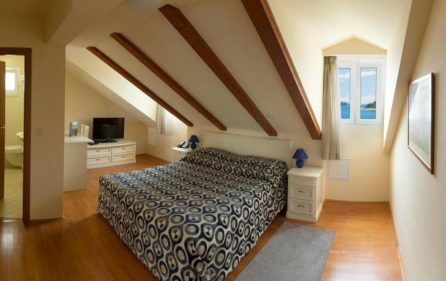 It is possible to have an additional bed in this type of rooms. 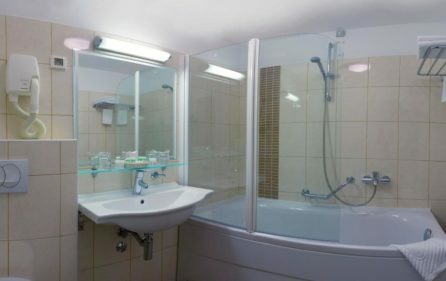 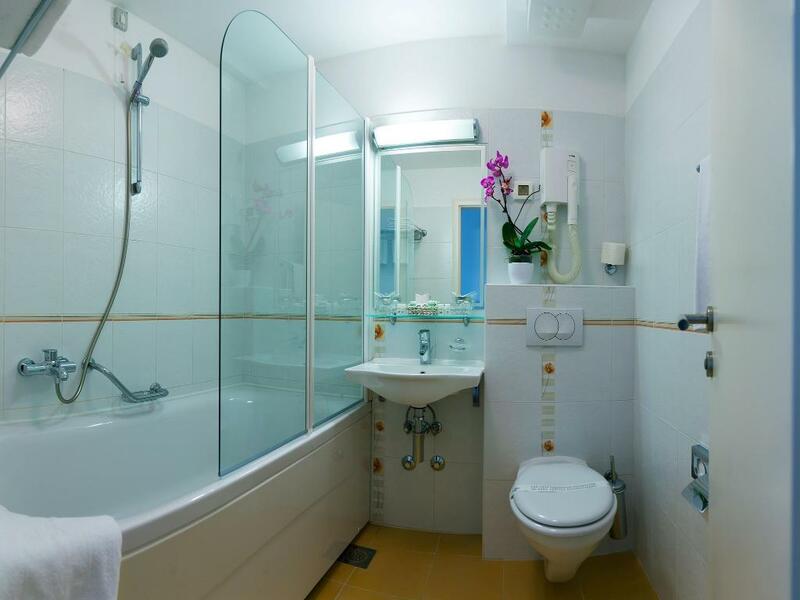 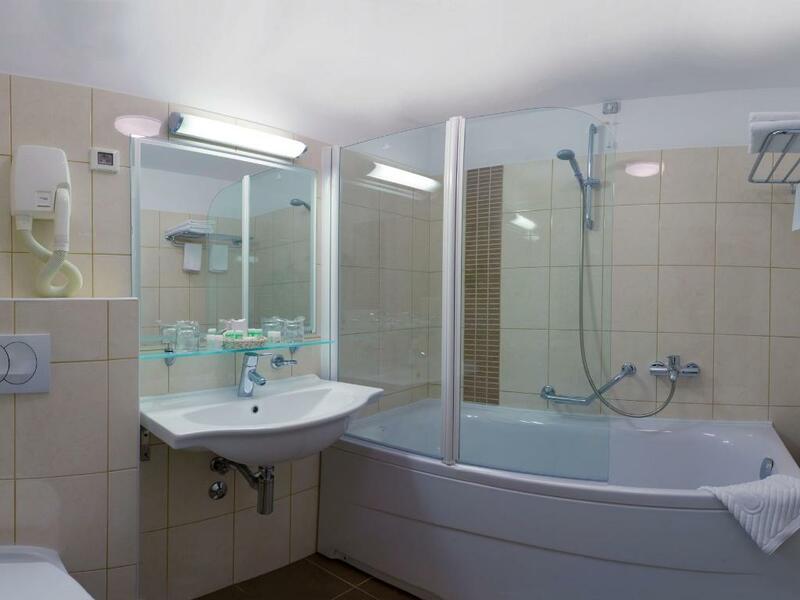 Bathrooms are with bathtub. 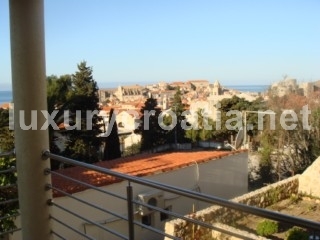 Double rooms Sea view Extra is located on the second floor with large French windows. 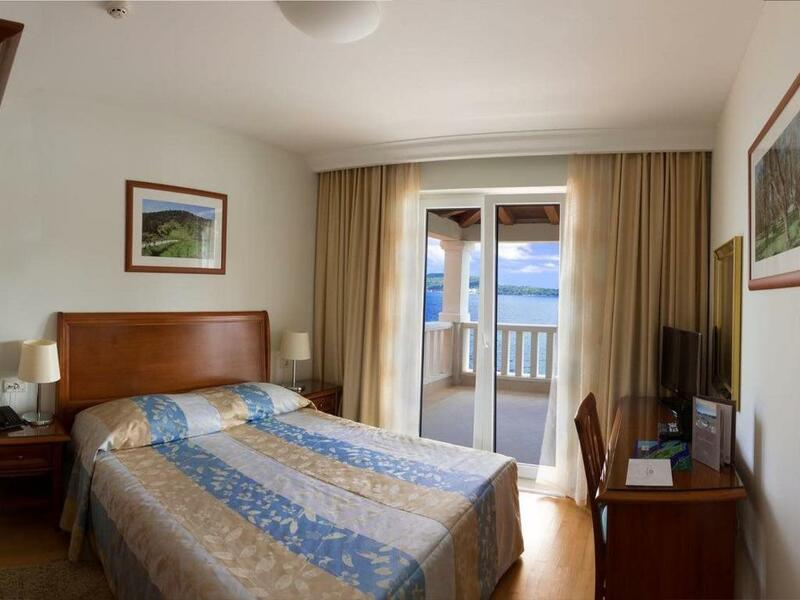 These rooms are spacious (23m2) with beautiful sea views to the bay. 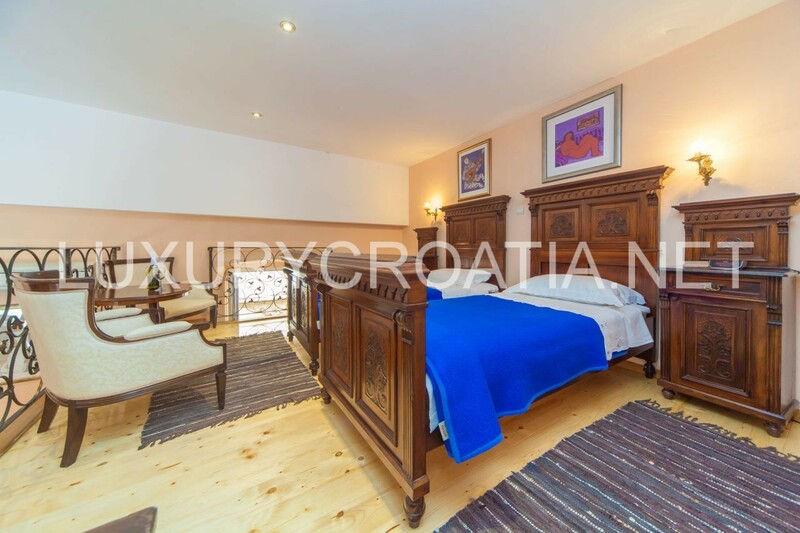 It is also possible to put an extra bed in this room type. 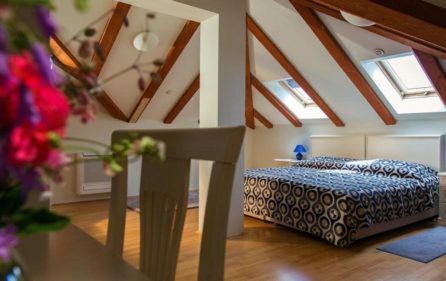 Rooms located on 1.st and 2nd floor. 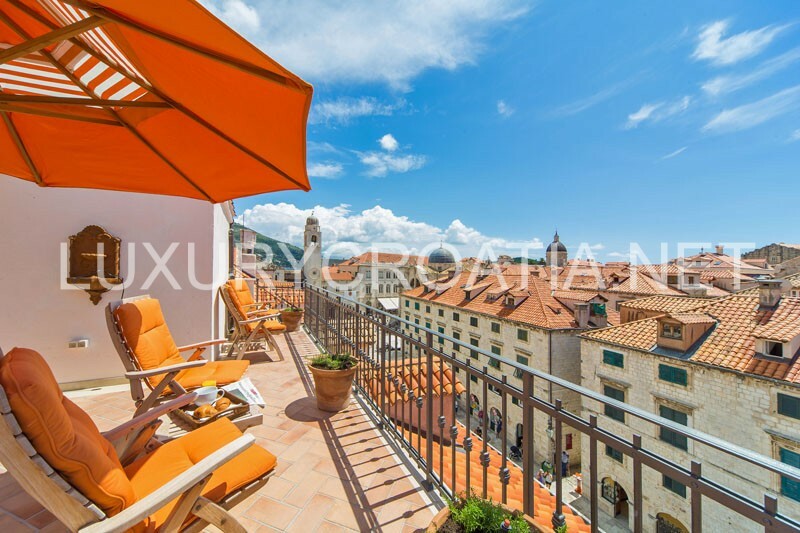 They have big open balconies with beautiful seafront. 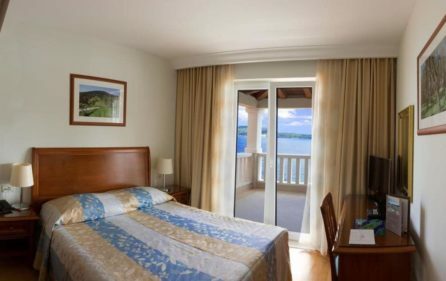 Balcony rooms are for two persons only, there is no possibility for an extra bed. 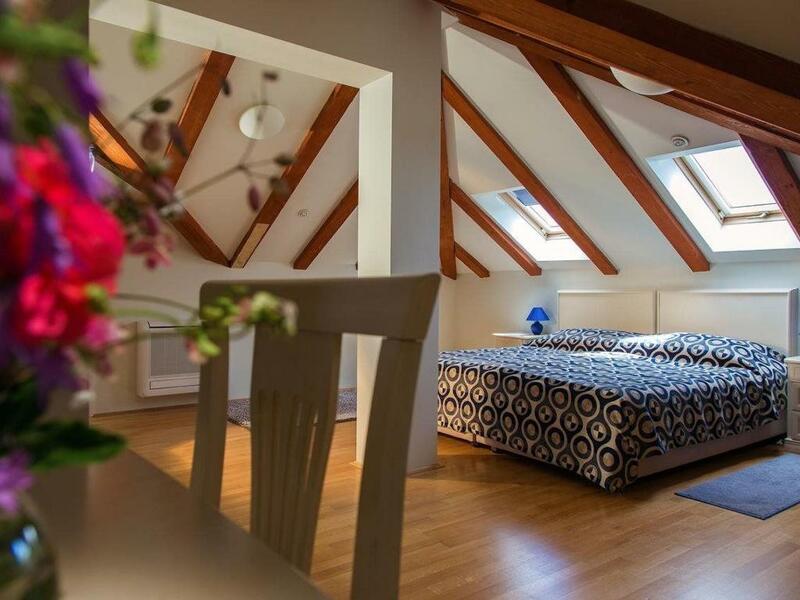 Rooms located on the third floor with no specific view. 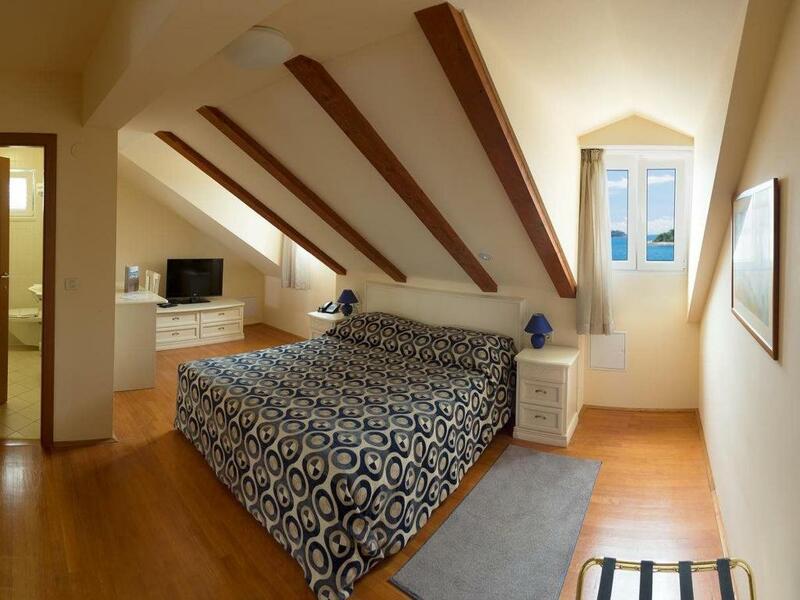 They don’t have the sea view but have Roof Windows with sky view. 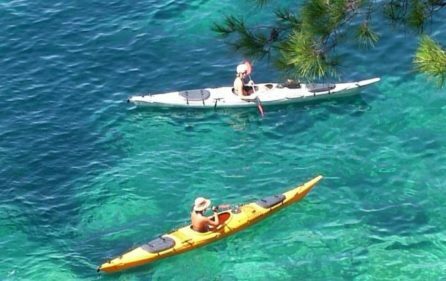 If you interested n spending active holidays click here: Daily excursions, trips, adventure sports, sailing. 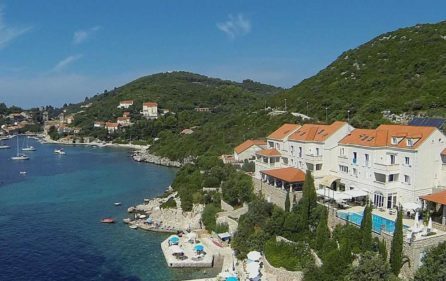 If you want to know more about Dubrovnik click here: Dubrovnik.